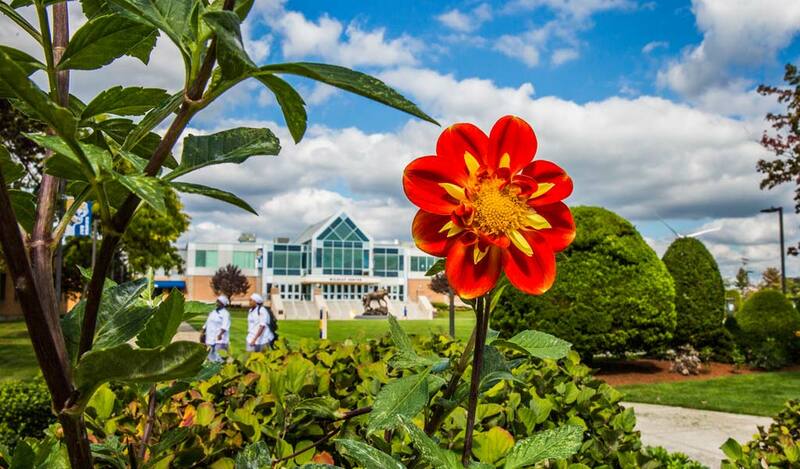 The Providence Campus is spread across 176 acres and approximately 2,700,000 square feet of 66 buildings, including residence halls, classrooms, labs, dining halls, libraries, offices, open spaces, and internship, recreation and physical plant facilities. The Downcity Campus is anchored by Gaebe Commons, a popular hub of student activity, and surrounded by a variety of shops, restaurants, cafés, music venues and a picturesque riverfront. 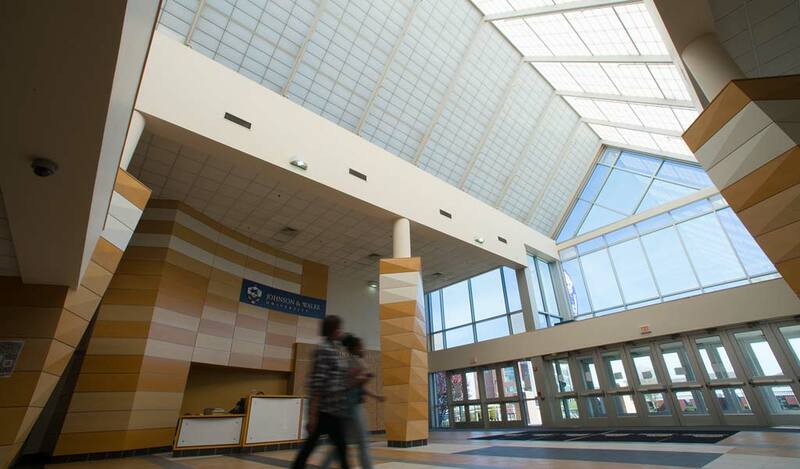 This campus is home to students in the College of Management, the School of Engineering & Design, the John Hazen White College of Arts & Sciences and the Center for Physician Assistant Studies. 115 Cedar Street houses the administrative offices of the College of Online Education, including the dean's office. The Academic Center at 138 Mathewson St. houses the Accounting classrooms and Accounting faculty offices. 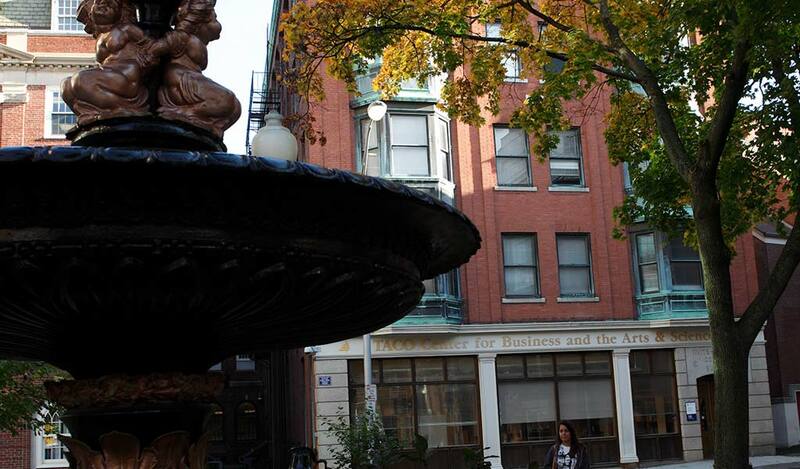 The John Hazen White College of Arts & Sciences, located at 30 Chestnut St. (corner of Pine and Chestnut Streets) houses the departments of English, English as a Second Language (ESL), Humanities, Mathematics, and Social Sciences, as well as the language laboratory and Arts & Sciences classrooms. It also houses the Market Place campus dining facility, Center for Academic Support for the Downcity Campus, Experiential Education & Career Services for the Downcity Campus, and the dean’s office and faculty offices. 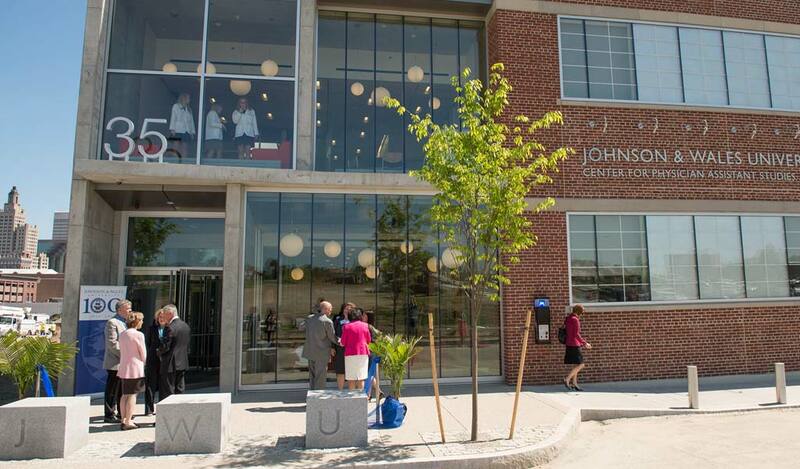 JWU Global, located at 274 Pine St., houses the International Student Services Office and Study Abroad. The John J. Bowen Center for Science and Innovation, located at 75 Chestnut St., houses the College of Engineering & Design and features classrooms, the media/graphics department, computer and engineering, faculty offices, the dean’s office, the Alan Shawn Feinstein Technology & Design Center, and the College of Engineering & Design Presentation Room. It also houses College of Arts & Sciences classrooms, life science laboratories, faculty offices, and Red Mango, a frozen yogurt and smoothie bar. The Johnson & Wales University Parking Garage at the corner of Pine and Richmond streets offers convenient, affordable parking for all students. Students need their university ID to enter and rates are posted at the entrance. Offices for Campus Safety & Security’s Administration and Crime Prevention and Community Outreach are located on the first floor. Also on the first floor is Off-Campus Student Services’s The Den, a multifunction lounge space for commuting Wildcats. The Den has an area of soft seating with numerous mobile device charging stations. There is also a kitchen and dining area, with tables and chairs for dining, a microwave, a refrigerator and vending machines. Wi-Fi is available throughout the space. There is also a Pharos printing system to afford students the opportunity to print, a multipurpose audiovisual system and numerous hi-definition TV monitors. One Weybosset Hill, located at 33 Broad Street, houses the central administration office of the university and Institutional Research on the sixth floor, and University Admissions, National Student Organizations (NSO) and Information Technology on the fifth floor. It is also the home of the University Bookstore (operated by Follett Higher Education Group), located on the first floor. The Richmond Building at 270 Weybosset St. houses Information Technology, the Faculty Center for Academic Excellence, and Student Communications, as well as the Providence Police Department District 1 Substation. 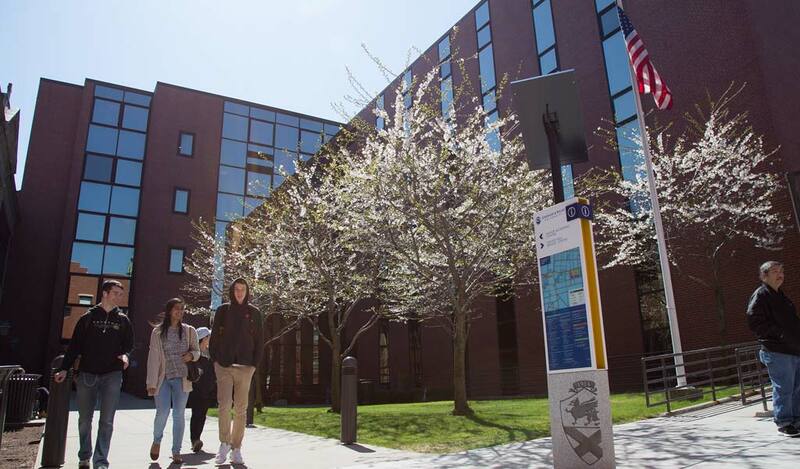 The Student Services Center at 274 Pine St. houses Student Academic & Financial Services, student ID cards, inactive records and JWU Global. The TACO Center for Business and Arts & Sciences, located at 10 Abbott Park Place houses classrooms and faculty offices for the economics department, the science department and the Larry Friedman International Center for Entrepreneurship. In the Center for Entrepreneurship resides the Veterans HQ, a lounge for alumni veterans. The Criminal Justice Lab is on the fifth floor. 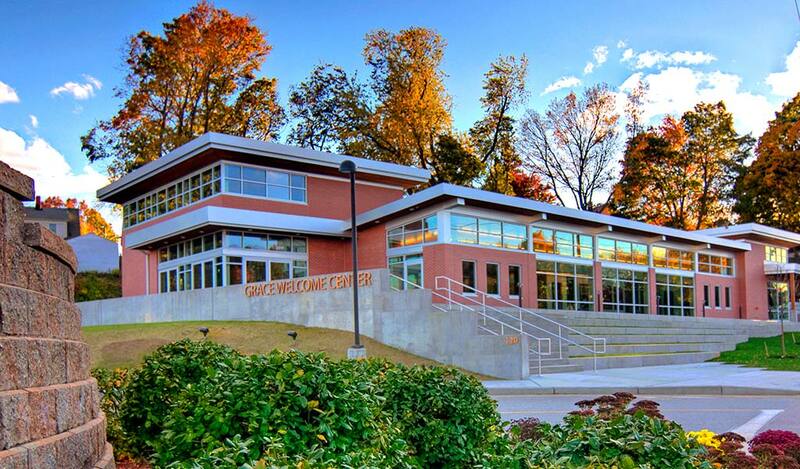 Wales Hall, located at 8 Abbott Park Place, houses the Downcity fitness center, shower and locker rooms and the commuter lounge on the lower level, and the Pepsi Forum auditorium, Student Payroll, Health Education and the Gender Equity Center on the first floor. The second floor houses Counseling Services and Community Relations. The third floor houses Health Services for the Downcity Campus. The fourth and fifth floors are home to JWU’s Human Resources & Payroll. The Xavier Complex at 259 Pine St. (at Broad and Claverick streets) houses classrooms, faculty offices, a variety of computer and word processing labs, and Schneider Auditorium. This complex also houses the College of Hospitality Management and College of Business. The Statler Dining Room, a hospitality kitchen lab, Bistro 61 and a hospitality beverage lab are on the first floor. The Yena Center houses the main library and library administrative offices, undergraduate Admissions (except culinary), D'Amico Auditorium, Catering and Special Events, and the university’s offices for Accounts Payable; Accounting; Procurement; Compliance, Internal Audit & Risk Management; and Office of General Counsel, as well as Wildcat Café. 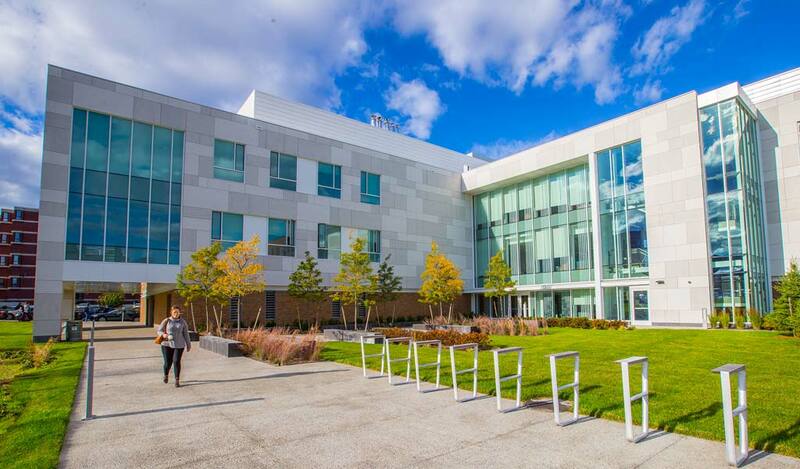 The nearby Harborside Campus sits on 105 scenic acres along Narragansett Bay, and houses the College of Culinary Arts in the Cuisinart Center for Culinary Excellence and the Wildcat Center (home of the NCAA Division III Wildcats). 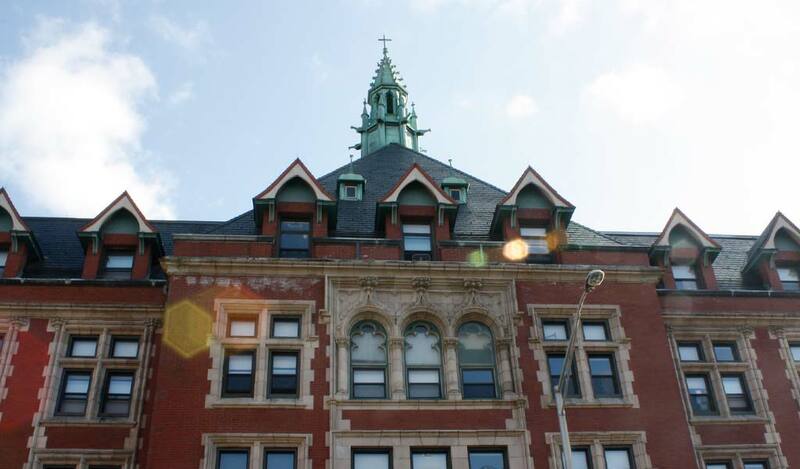 Residential facilities are located throughout Providence and Cranston. 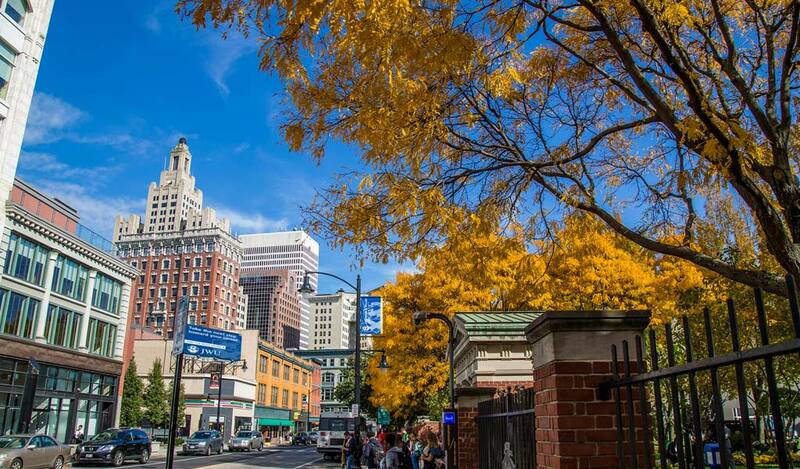 JWU provides free shuttle bus service between the campuses and residence halls. 63 Baker Street houses Resource Development, Alumni Relations, University Design & Editorial Services and University Marketing. The Alumni House at 1146 Narragansett Blvd. in Cranston is used for distinguished visiting professor lodging. The Cusinart Center for Culinary Excellence at 333 Shipyard St. is where the College of Culinary Arts is based. This also includes College of Culinary Arts faculty offices, deans’ and administrative offices, the Coors Brewing Laboratory and the International Baking & Pastry Institute. Harbor View, located at 1150 Narragansett Blvd. in Cranston, houses a large student dining hall, kitchen and commissary, and a residence hall with laundry facilities. The Auxiliary Services department offices are located on the first floor. Academic facilities include classrooms, the chocolate and sugar lab, and the baking technology lab. 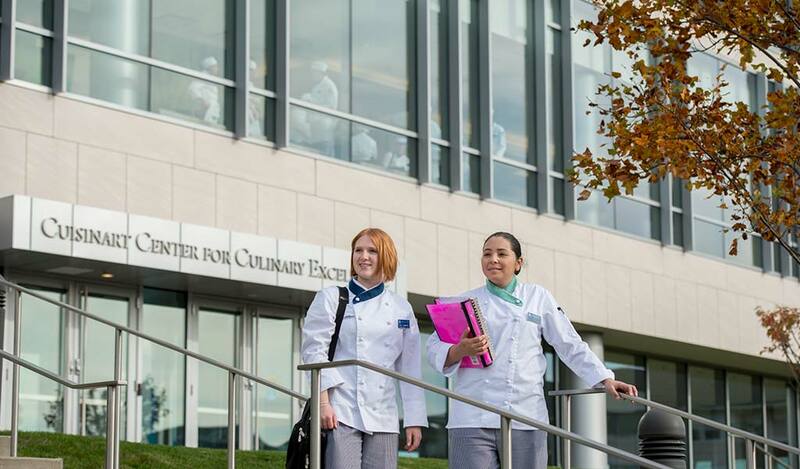 CAFE, the Culinary Arts Foodservice Exposition, is an addition to the Harborside Academic Center and features state-of-the-art kitchens and laboratories, bakeshops, a food science and product development lab, and the Cintas Dining Room used by culinary arts students. HAC also contains a Starbucks®, Red Sauce Pizza & Pasta, the University Office of Culinary Education, microbiology lab, a multimedia center, the HAC Amphitheater, Culinary Special Services and the Harborside Computer Center, containing 156 computers, 5 computer labs and an administrative staff area. 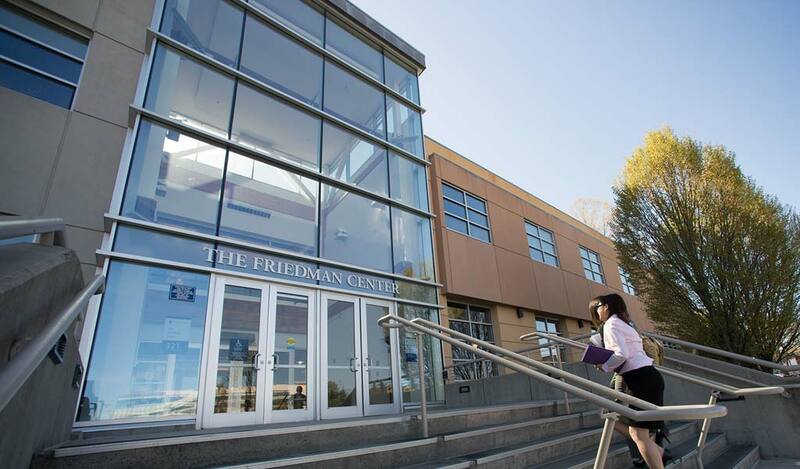 Also located in this building are the Alan Shawn Feinstein Center for Academic Support, Culinary Arts Museum at JWU, Harborside Campus Library, Printing & Mailing Services, Harborside Substation of Campus Safety & Security, Liberty Market, warehouse, administrative offices of Facilities Management, Facilities Engineering and Maintenance, classrooms, office of the vice president of student affairs, Student Conduct, Counseling Services on the second floor, and department faculty offices for the John Hazen White College of Arts & Sciences and College of Management. 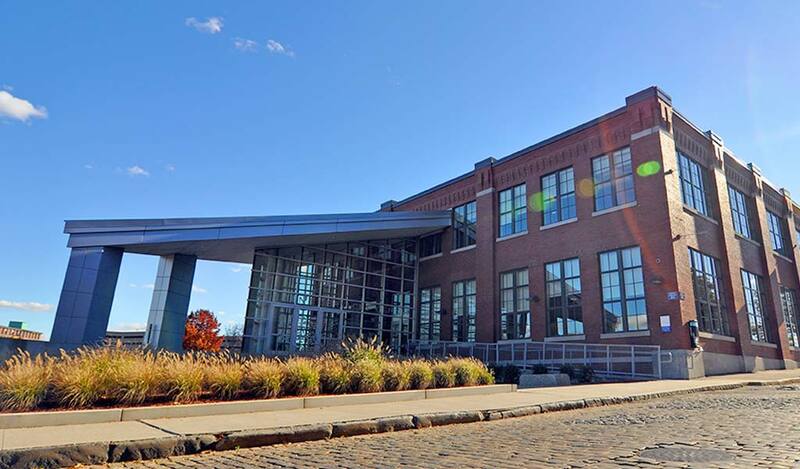 The Wildcat Center at 305 Shipyard St. houses Health Services for the Harborside Campus, Athletics, 2 gymnasiums, student life programming space, game room, fitness center, the university's Harborside Bookstore (operated by Follett Higher Education Group) and Student Involvement & Leadership.